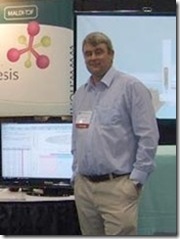 Hey, my name’s Mark Bennett and I’m Nonlinear’s General Manager for the Americas. 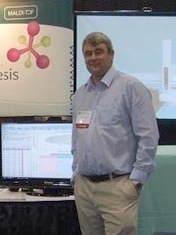 Slightly less generally, I’m involved on the sales side of things, helping customers and potential customers get the most from their proteomics and metabolomics data. I originally joined Nonlinear while still living in the UK, but have long since been resident in Durham, North Carolina. As well as travelling around North America, visiting customers on-site, you’ll find me at the major conferences too. Keep an eye on our Events page to see where we’ll be next.